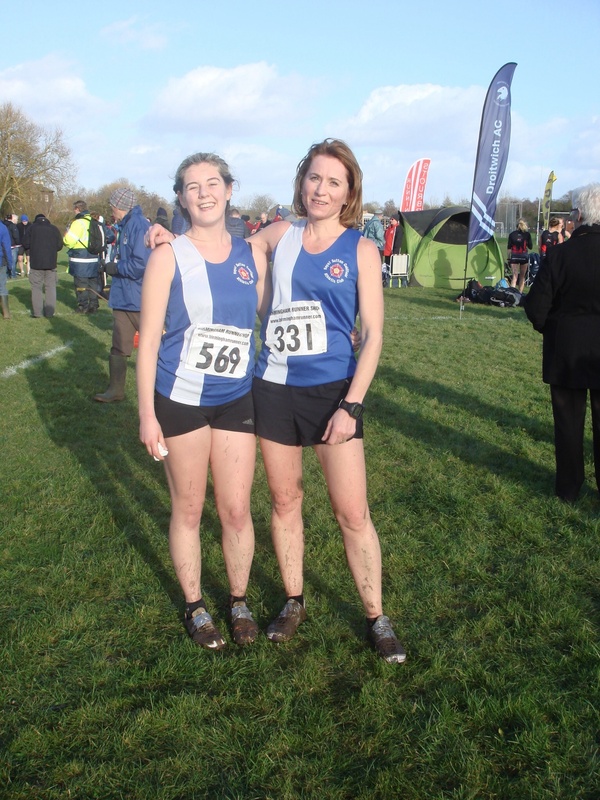 Another tough day for our XC teams at the weekend. The senior men travelled to Coundon Park Coventry for the latest Division 1 match. Whilst there were lots of fantastic individual performances, unfortunately it appears we’re doomed to a swift relegation back to Division 2. Highlights included a great run by Chris Taylor who literally ran himself into the ground to come home as our second counter, a great battle to the line between Paul Terleski and Jim Barlow and a fantastic run by the ever improving Mark Rickards. Massive thanks to our hardy supporters who braved the bitter cold and to Phil Pollock for helping with the officiating. Your support is much appreciated! The women ran at Droitwich. Our sole representatives were Andrea Deathridge and Megan McBrien, who both had decent runs. Competing against a top quality field Andrea finished 33rd and Megan was 42nd. The race was won by GB athlete Jessica Judd, whilst former World Triathlon Champion Chrissie Wellington finished 6th!